The biggest international airport in Istria is the Pula Airport. It successfully connects Istria with all important Croatian and European destinations through regular, low cost and charter flights. The only Croatian air carrier, Croatia Airlines provides regular flights between Pula and other Croatian destinations throughout the year, but it also ensures regular flight connection with various European capitals such as Berlin, Vienna or Amsterdam. Various international airlines provide regular direct flights towards Pula. That way you can reach Istria from various European capitals. Airline carriers such as Lufthansa, SAS, Finnair or GermanWings provide regular flights from Barcelona, Berlin or London. 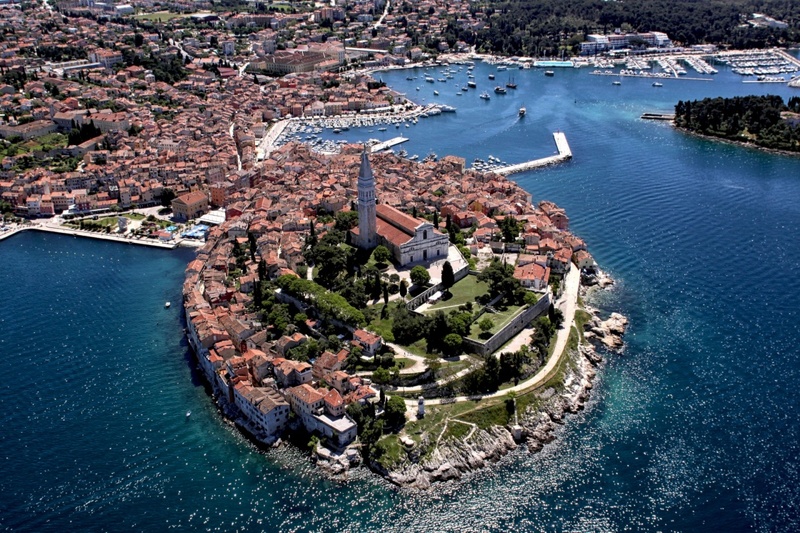 For most of the European capitals, Pula is just a short flight away. For example, if you manage to catch a direct flight, you will fly less than two hours from Paris in order to reach Pula. Several popular European low cost airline providers have regular flights to and from Pula. RyanAir, Jet2com and Norwegian Shuttle can take you to some of the European capitals for a bargain price. For example, if you book your flight early enough, you can fly towards Glasgow with Jet2com for as little as 51 Euros. Pula airport is only 5 km away from the center of Pula. It can be easily reached from the city by car, taxi or bus. The public bus traffic towards the airport occurs according to the timetable and the bus fare in one direction is 3 Euros. There is also a possibility to rent a car at the airport building. The airport is well connected with other parts of Istria through regional roads or motorways. It can be reached by car or by intercity bus lines. There is another small airport in Istria; it is the Vrsar Airport, suitable for accepting smaller aircrafts. It is open for international air traffic from April to November. Vrsar Airport also organizes excursion flights to Pula, Rijeka, Unije and Losinj as well as taxi flights for international and domestic airports.